Welcome to the Phono-Graphix Reading Company's online store! Can't find the product you need? Call us at 1-800-732-3868 or send us an e-mail. WHEN TO EXPECT YOUR ORDER: Regular PDF purchases are available for instant download; licensed PDFs will be emailed to you within 2 business days. Print products ship within 2 business days, depending on availability. CREDIT CARDS: We accept Visa, MasterCard, American Express, and Discover cards, and accept PayPal payments. All forms of payment are processed by PayPal but please note you do NOT need a PayPal account to use your credit card and you do not need to login as a member; skip all the 'login' boxes and find the 'continue' options instead. CHECKS and PURCHASE ORDERS: We gladly accept Purchase Orders and checks. Print out the invoice created from your shopping cart and mail checks to the address below; either fax purchase orders to 831-515-5115 or email them to us. 'Sound Wall' charts to surround your students with sound pictures, not individual letters. Make the true nature of the English written code impossible to miss. 8 1/2 x 11" charts of all the sounds of English. Order a licensed pdf, ready for printing. 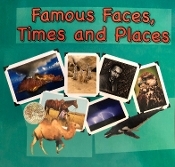 Famous Faces, Times and Places is the classic Phono-Graphix coded-text reader, now updated and in beautiful book form. PUT THE CODE IN YOUR STUDENT'S HANDS - LITERALLY! This beautiful, durable SOUND PICTURE DICE set includes a 6-sided die for every sound and special ending, with the most common variations of that sound. 'Sound Wall' charts to surround your students with sound pictures, not individual letters. Make the true nature of the English written code impossible to miss. 8 1/2 x 11" prelaminated card-stock charts of all the sounds of English. Super Speller is a great resource for home, clinic, or classroom use. Perfect for all children up to age nine, and is effective for older remedial students also! 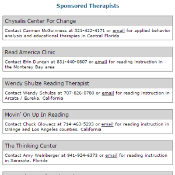 Renew your professional membership in the Phono-Graphix Association of Reading Therapists. This kit is required with the Certification Training. The clinical lesson plan manual has a full color laminated cover, twenty-one new pages of teacher training information, and the lesson pages are color coded to the level of instruction. Convenient, affordable, and effective! The Phono-Graphix online certification course is based on the most recent findings on how to engage and inform in an online format. With the help of the revolutionary reading program Phono-Graphix™, you and your child can discover the sound-picture code that is the foundation of the written English language. Designed to teach multisyllable concepts to children age mature seven through remedial, and supports the use of the Phono-Graphix Certification Kit, Imagine This, and Word Work. 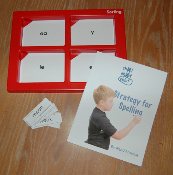 Includes Reading, Spelling, Comprehension, and Vocabulary Activities. Set of three workbooks for children ages 3-6 with engaging stories and graphics. Gives directed practice in reading the Basic Code, sound and symbol correspondence, segmenting, blending, and phoneme manipulation. 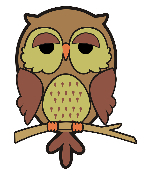 Finally there is a handwriting program that works with your reading and spelling program! Based on the order of sounds used to teach Phono-Graphix reading and spelling, the Sound Writing Workbooks double your instructional outcome. Give your students aged 5-7 practice in reading the Advanced Code with endearing characters and engaging pictures. Increase reading and spelling outcome for students aged 5 - 7 by teaching handwriting the Phono-Graphix way. Give your students practice in writing the Advanced Code. Purchase all ten Washington Reads card games and save $15! 17" x 11" glossy wall charts, on sturdy cardstock, of all the ways to represent all the sounds. Indispensible for classroom, home or clinic. Give your students access to the sound picture code and watch how they put it to use! 30 desk charts of the ways to represent all the sounds. Advanced Code Support Book for teaching children 6-years through remedial. Advanced Code Workbook Two features the remaining sounds and sound pictures for those kids who need explicit instruction throug the code. Teaching multisyllable to children age mature seven through remedial. Designed for a teacher or parent to play with one or more children, Book-It is the next step after completion of the Phono-Graphix support books and a wonderful Phono-Graphix course graduation present for students. We did it! We have phonographically coded the Dolch word list on reading cards for supported instruction followed by rapid practice. 120 words in all! 16 photographs of everyday items. Each has the word phonographically coded and comes with the corresponding sound cards for teaching the phoneme and code for it within the context of real word identification. This support book is for use by teenage and adult students being taught with the Teen Literacy Kit also available on this site. 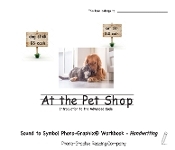 Corresponds to the sounds in our new Sound to Symbol to Meaning Workbook 1. This game is PHAST PHUN for students age 7-101. ALL NEW STORIES! Kids read a short story on each storyboad then twist, stretch, bend, and curl colorful 3D finishing touches. This activity is great for children who are starting to read advanced code, but still need practice decoding, visualizing, and reading for meaning. The kids love these! ALL NEW CONTENT!! Everything you need to make three pocket folders. The kids love these! ALL NEW CONTENT!! Everything you need to make your er. This third set includes stories for the sounds 'ee' and 'ae' and ea and ai overlap. This third set includes stories for the sounds 'oo' and 'oul' and oo overlap. Eight one page sheets, each with a tantalizing photo and first line or to intended to engage your creative and not-so-creative writers. Each first line offers just enough information to start the story without limiting the possibilities. Consult with us online for one hour. We can discuss implementation at home or into your clinic, classroom, school or school district. Website Advertising Available to Phono-Graphix licensed trainers and professional members only - advertise your services on our website. Reach thousands of parents looking for certified Phono-Graphix practitioners and trainers.